Constantia, also called Constance of Sicily, did not marry until the age of thirty, at which time she became the wife of Henry VI, future king of Germany and Holy Roman emperor. 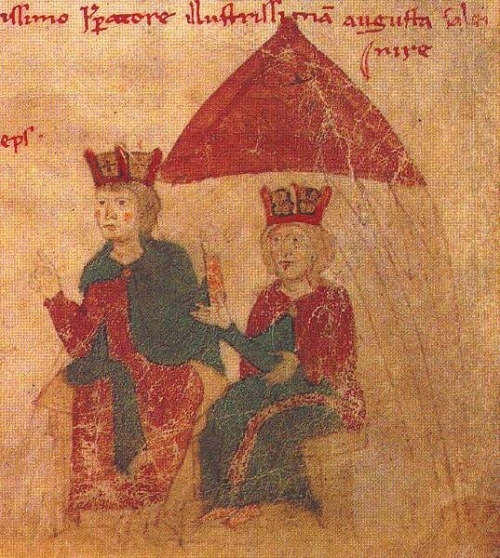 When Henry died in 1197, she orchestrated the succession of their son, Frederick II, to the Sicilian throne and ruled in his name. In the last year of her life, she severed the ties between Sicily and the Roman empire that Henry had forged and placed Frederick under the guardianship of Pope Innocent III, with the expectation that he would be raised as the sovereign king of Sicily.